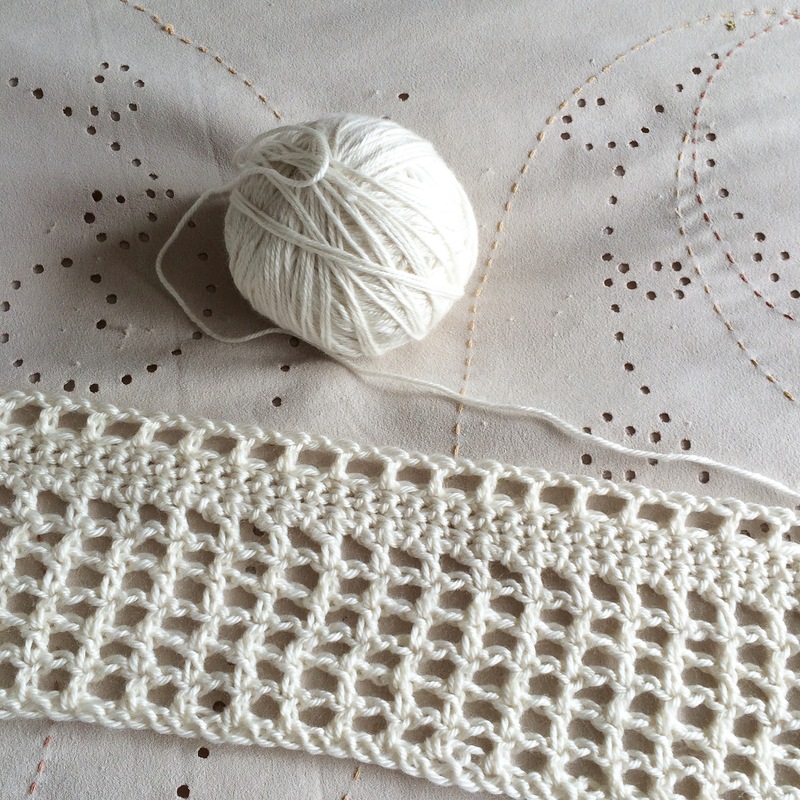 The yarn is a beautiful silk/wool mix from John Arbon Textiles and it is just divine. 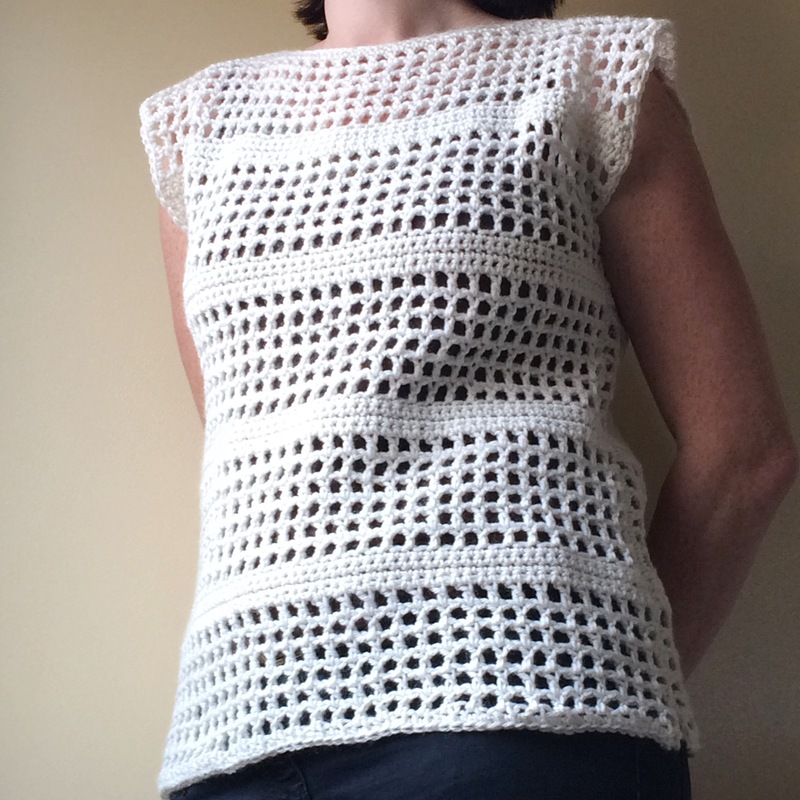 This crochet mesh top is made from a simple mesh pattern with 4 rows of double crochet after every six rows of mesh. As I’m such an impatient crocheter there isn’t any shape definition to the top, other than a little shaping around the neckline. It’s basically two rectangles stitched together at the shoulders and sides to create very simple top. A really quick make to satisfy my “I want to get this made now” attitude – I made it over two evenings. I’m going to work on the pattern a little to either give a little definition to the top part in order to make it more vest like or to add little sleeves to give it more shape. But for now, I’m over the moon with this one. What do you think? Would you be interested in me writing up the pattern? Yes, yes, yes. I love it. Sleeves would be nice for winter wear, but that is perfect for summer. Thanks so much for your lovely comment. It is a lovely summer top and I’m really pleased with it. I wore it all day yesterday with a long sleeved top underneath as it was a bit chilly here and it looked great. I had wondered about the long sleeved top under it. It’s been chilly here also. I would love to have the pattern if you write it up. That’s great to hear. I’ll hopefully post a simple pattern on here soon. Nice top, easy to combine! 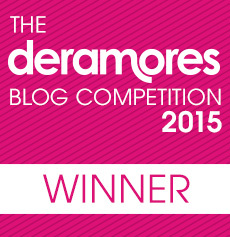 I discovered your blog today and started to follow you. 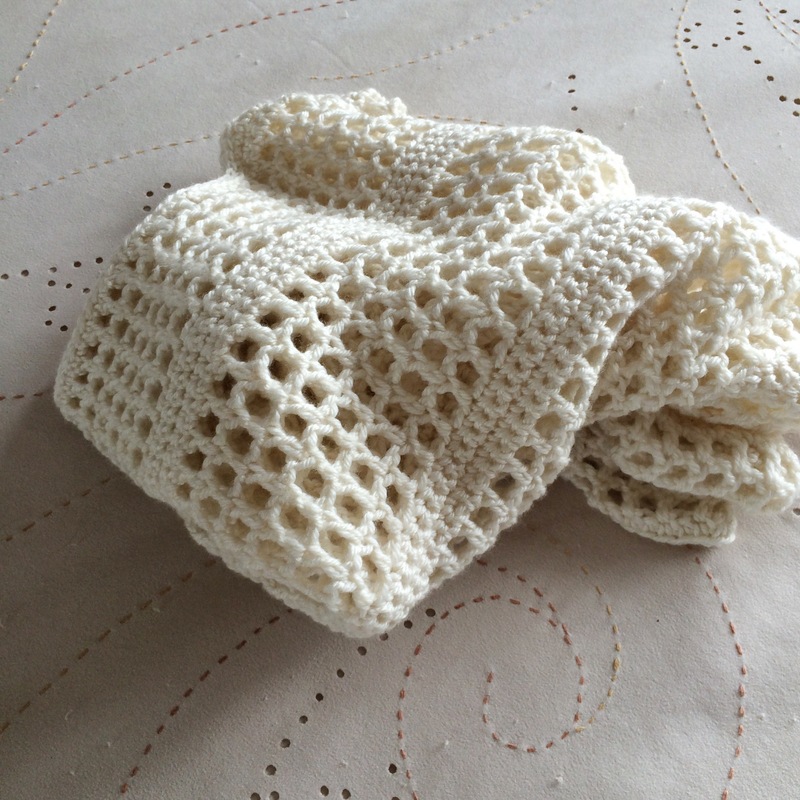 You’ve made some beautiful cushions and blankets I noticed, love it! Would love to see a pattern as I’m new at this craft-! 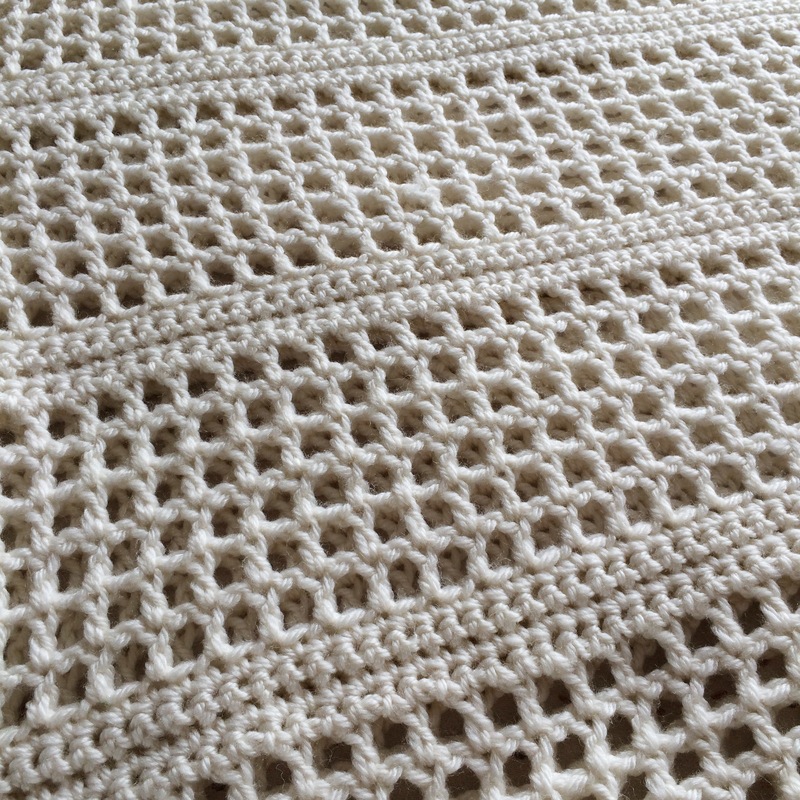 Thanks Boni, writing up the pattern for this is on the top of my very long to do list – I will get to it soon hopefully. I’m glad you like the top. Yes please!!! This top is GORGEOUS!! Pretty please? !